The Galaxy S10 is also rumored to carry a mammoth storage capacity of 1TB, which probably will be reserved for the most expensive variant. The leak reveals the front and rear design of the smartphone and also confirm its triple rear camera setup. Both the 12-megapixel cameras include optical image stabilization (OIS). For selfies, there is a 5-MP sensor at the front. All three models have the same 10MP f/1.9 aperture primary camera, according to the latest leaked information from Samsung, and they're all able to record the same sort of video. The device will support wireless charging along with reverse charging that will be known as "Wireless Power share". Another source claims that the S10 and S10 Plus will be available in black, green, blue, and white colors while the S10 Lite will also come in yellow in addition to all those colors. The standard S10 sports a 6.1-inch display with 3,040 x 1,440 QHD+ display and an in-display fingerprint scanner. There'll either be a 230 mAh or 236 mAh battery and there's expected to be an LTE version of the Active, too. Additionally, the S10 features HDR 10+, Dolby Atmos and a region dependent Exynos 9820 processor. 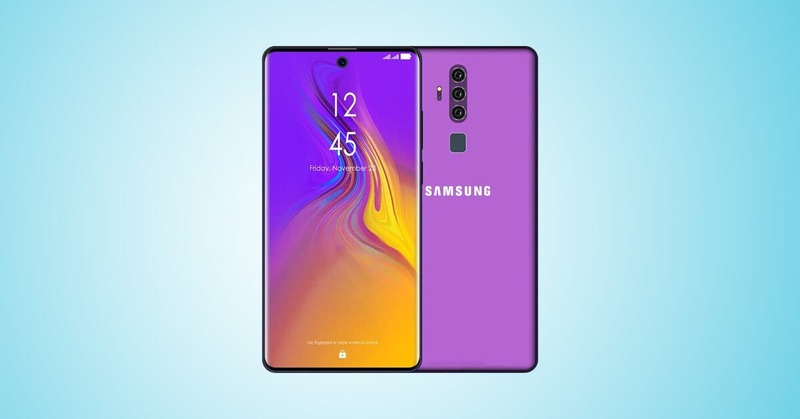 The screen of the display looks flawless which will measure up to 6.4-inch, as per a report by Gadget 360, Moving forward, Samsung Galaxy S10+ seemed to boast an audio jack port, in the mentioned banner. HERE'S HOPING Samsung is never tasked to throw you a surprise party, as the company has all-but-confirmed that it's bendy Galaxy Flex smartphone will make its official debut next week. More than that, Forbes just reported that Samsung's new flagship might bring a flaw after all.